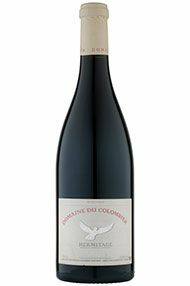 Domaine du Colombier is widely recognised as one of the best sources of high quality Hermitage and Crozes Hermitage wine. 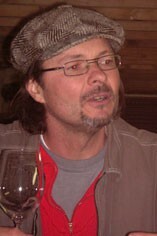 The Viale family planted their first vines at the foot of the Hermitage hill in 1929; now the representative of the third generation, the tall and charming Florent, owns over 13 hectares of vines liberally scattered on some of the best sites over the communes of Mercurol and Tain, including 1.5 hectares of vineyards in the renowned Beaumes vineyard on the famous Hermitage hill. Before 1992 the entire production was sold to local negociants (Guigal in particular) and so only recently have the Viales been estate bottling and marketing their own wines. The average age vines in the holding in Beaumes is over 50 years and this is reflected in the wine which is renowned for their purity and harmony. The Syrah is fermented in a cement, stainless steel and wood, and then matured over eight months in cement and 600 ltr demi-muids. Florent is keen on emphasising the primacy of ripe fruit above all else, but his wines are not without structure and ageing potential. 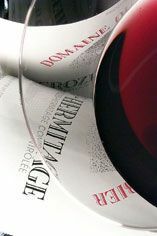 Colombier’s Crozes Hermitage is now consistently one of the finest in the Appellation with the wines from 2001 (excepting the tricky 2002 and 2003) getting better and better, in particular this, the charming and relatively approachable 2006. From the Beaumes, Dionnieres and Prélat communes, a powerful saturnine wine, brooding and muscular, bristling with potential. To cellar patiently then open with powerful game. The straight Crozes is instantly appealing with generous blackberry fruit allied to notes of licorice, bay laurel and plum. Supple tannins belie the alcohol and the ensemble is harmonious.